The UK's first 'Manifesto for Cats' was launched at the House of Commons yesterday (10 Feb) to put feline welfare on the political agenda ahead of the General Election. 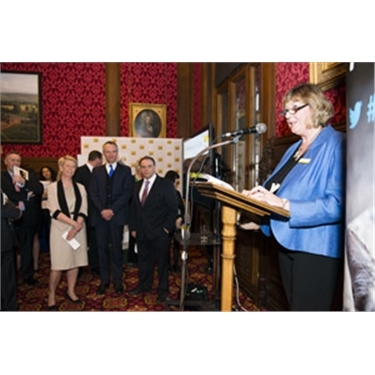 Cats Protection, the nation's leading cat charity, unveiled the 10-point document at a reception hosted by Neil Parish MP, Chairman of the Associate Parliamentary Group for Animal Welfare, and supported by Petplan. The event was attended by more than 35 MPs and Lords including Lord de Mauley, the Parliamentary Under Secretary of State for natural environment and science; and Angela Smith MP, shadow minister for environment, food and rural affairs. With 24 per cent of UK households owning at least one cat and an estimated feline population of 10.5 million, the charity hopes owners will get behind the manifesto to call on other politicians and policy-makers to protect cats from abandonment, harm and neglect. Compiled following a three-month consultation with members of the public, the document includes a “wish list” of policies such as controlling the irresponsible breeding and sale of cats, banning snares, and the inclusion of animal welfare in the National Curriculum. Cat lovers can support the manifesto by visiting www.cats.org.uk/manifesto where they can read the document, view a video about the manifesto points and find out how to ask their MP to get involved. Cats Protection is the UK's largest cat charity and helps over 194,000 cats every year through a network of over 250 volunteer-run branches and 31 adoption centres. As well as rehoming unwanted and abandoned cats, the charity also promotes neutering, provides cat care advice, and delivers talks about cat care to thousands of schoolchildren and community groups every year. Cats Protection's Advocacy Manager Jacqui Cuff said: “We are heartened to have received so much positive feedback and support for our Manifesto for Cats. “One in four UK households owns at least one cat, so the issue of feline welfare is very relevant to voters. We're hoping that in this important year we get the support of politicians to improve the lives of thousands of cats. “Cats are an important part of family life and to society in general. For example, within education policy we are asking for animal welfare to be included in the National Curriculum so children learn how to nurture and care for a pet and meet its needs. “Within housing policy we want more landlords, care homes and housing associations to agree to allow residents to keep their pets. It is tragic when an owner has to give up their cat when they move house and many owners are forced to hand their beloved pets to charities such as Cats Protection for rehoming. Neil Parish MP said: “As a cat owner myself I am delighted to host the launch of the first-ever ‘Manifesto for Cats’. There are areas of feline welfare where more work should and can be done to tackle cat abandonment. I look forward to submitting this Manifesto to the Secretary of State”. Ingrid Wakefield, Head of Marketing at Petplan, the UK's most trusted pet insurer, said: “We are proud to make a difference by supporting the fantastic work of charities like Cats Protection which play an invaluable role in ensuring the welfare of cats in the UK. • Breeding of cats for sale: Updating the law to control the breeding and sale of cats to reduce the number of unwanted kittens. • Microchipping: Making it compulsory to microchip owned cats. • Cats entering the UK: Creating a national database to ensure a central record is kept of cats entering the UK legally so those entering without a rabies vaccine can be identified. • Dog attacks: Creation of a new offence within legislation governing dangerous dogs where a dog that is out of control attacks, injures or kills a cat. • Cats and the curriculum: Inclusion of animal welfare in the National Curriculum so that all children learn about responsible pet care. • Cats and housing providers: Government recognition of the needs of people with cats or other companion animals in rented housing and care homes to allow people to keep their pets. • Cats and personal wellbeing: Government monitoring to ensure that assessments and personalised care plans include consideration of any companion animals that form part of the individual’s household. • Products toxic to cats: Clear labelling of flowers, plants and household products that are toxic to cats so cat owners know which to avoid. • Cats and snares: An outright ban on the use of snares on the basis they are inhumane and cruel, inflicting suffering, injury or death on cats and other animals. • Cats, airguns and crossbows: Stricter regulation on the ownership of air guns and crossbows to prevent injury or death to cats shot by such weapons. 3. Cats Protection’s registered charity number is 203644 (England and Wales) and SC037711 (Scotland).Founded as the Cats Protection League in 1927, the charity adopted the name Cats Protection in 1998. We ask that you use the name Cats Protection when referring to the charity in all published material. 5. Estimated UK population of 10.5 million cats according to the PDSA Animal Wellbeing Report 2014. 6. Petplan is the largest provider of animal health insurance in the world. Established more than 30 years ago, Petplan is part of Allianz Insurance, one of the largest general insurers in the UK. Petplan works with over 1,200 animal charities, more than any other insurer.